The orange peel (peau d’orange) appearance of the chin gets worse whenever the Mentalis muscle (chin muscle) contracts. 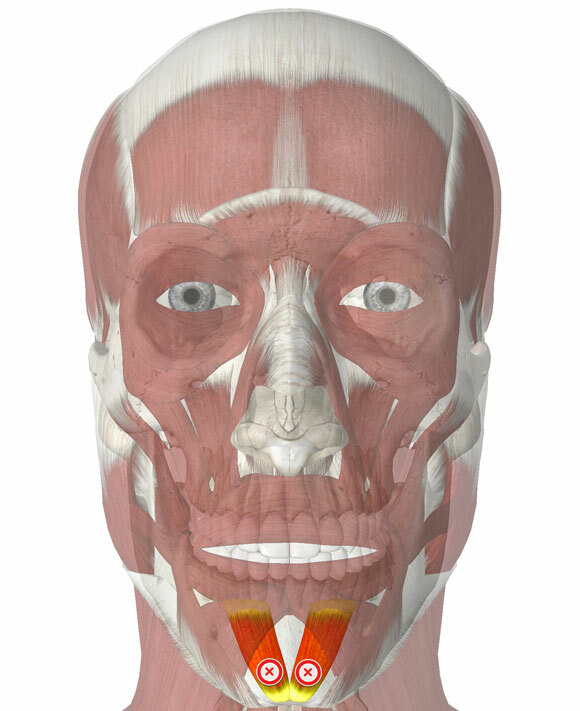 The two Mentalis muscles are highlighted in the image below. The muscles are injected. It takes about 30 seconds.